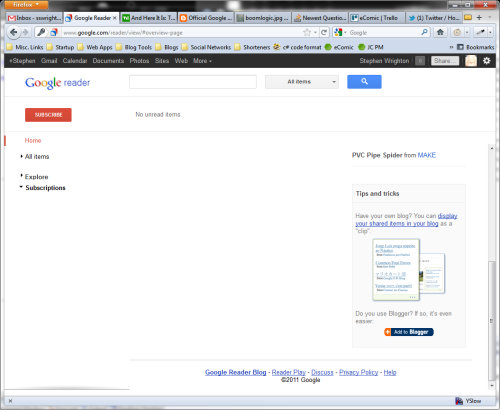 I use Google Reader. I've always enjoyed it immensely, and have used it extensively since it was first released. 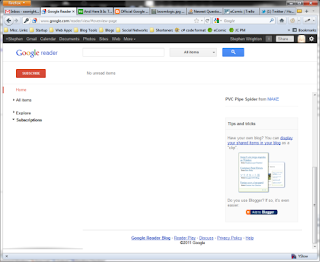 I've tried other RSS Readers, but frankly, none of them offered me the flexibility which Google Reader provided. Then they added "social" features. Users could "Like" and "Share" RSS items. While I never used the Like feature (and would install a browser add-in which would hide it) I used the Share feature to share links on this blog. Now, I'm not up in arms about the loss of this feature, though I will miss it. Why I'm posting this, is that I received the updated UI this afternoon, and noticed that in the Tips and tricks, there was a big old article on how to share SHARED items on a blog.